This is a simple pistol set. This set will replace your "USP" with 5 different camouflage paints. Read the description in the picture. 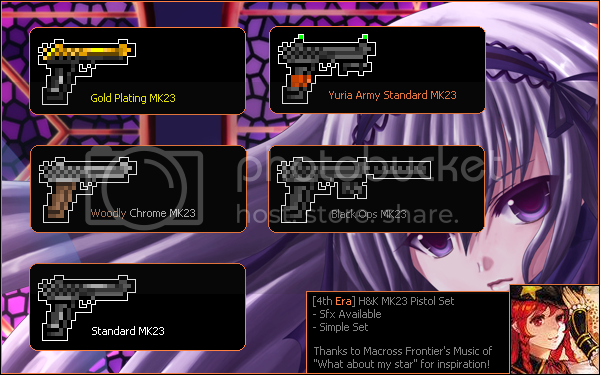 You have my permission to use my weapons in your mod but please inform me for this! The gun is cool but the silencer which is the default doe not really fit into this skin hell nice anyway. I'm going to use this, thanks again! Ohh then Good Luck with paiting. I am more like a community member rather than a player. Sorry, I can't play CS2D anymore because my new home seems to be a lot deal some heavy lagspikes to my gaming style a lot. Keine u playing cs2d?, if u play where we can duel? I've already make golden weapons in each weapon sets of mine. So, just download 'em individually or wait for the full pack. See the countdown at my thread. @ Kakashi Hatake: Woah! Thanks for using 'em! You have not press the "i like it" button. Something wrong with the USP_silenced and it was fixed! Have fun!